For many faculty members, it's typical to teach more than one section of the same course in a term, often in a different block, or different format, or both. Our new section numbers, now referred to as the CRN (Course Reference Number), are now simply 5-digit, unique numbers that do not contain any codes or information about the block, semester, or University location in which the course is offered. 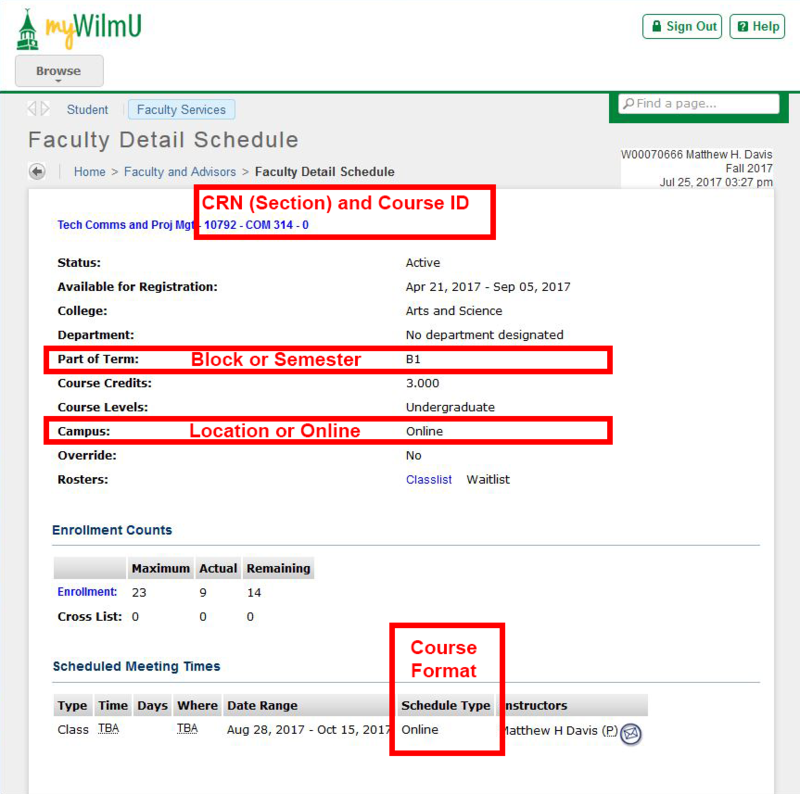 The My Blackboard module in on the myWilmU Faculty Home page also only lists the course term and name, and not the CRN or other information. This means it takes a few extra steps at first to identify which section of a course your teaching is in which block, location, or format. On the myWilmU Faculty Home page, click the My Classes tab (to the right of the My Blackboard module). For each course you want to identify, click the name of the course section. The Faculty Detail Schedule in Faculty Self-Service will open in a new window/tab (do not close the Faculty Home page). the course CRN, and Course ID (subject and number) near the top of the page. the Part of Term displays which block (or semester) the course meets. the Campus displays which University location the course meets (or Online). scroll down to Scheduled Meeting Times. Return to the Faculty Home page (you left this open in a different window/tab in Step 3). 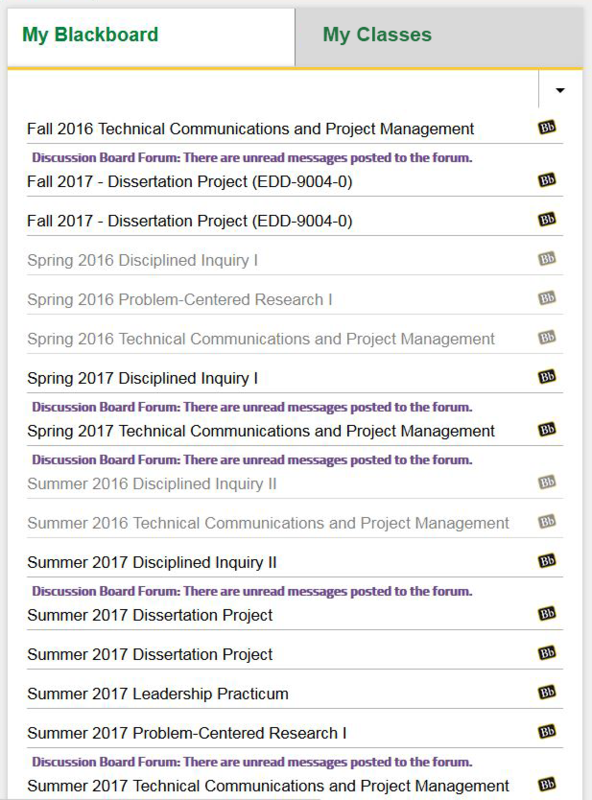 Click the My Blackboard tab if it is not already displayed. Click a course in your Blackboard Course List. The course CRN and Course ID appears in the Blackboard course menu. Match the CRN with the CRN you found on the Faculty Detail Schedule.